It was very early in the morning; pre-dawn in fact. 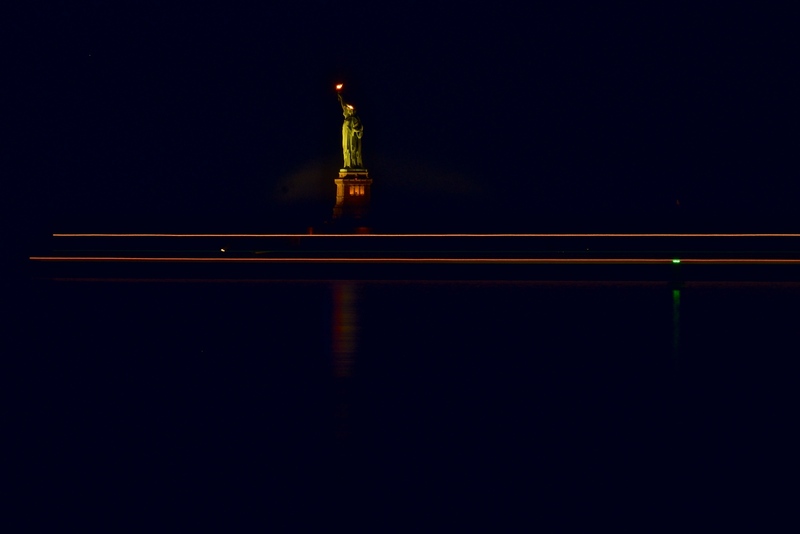 I took this shot of Lady Liberty and it needed to be pretty long — 50 seconds — just to capture enough light. I was not trying for any sort of long-exposure effects and did not expect any. The Statue of Liberty is a statue after all. She does not move except in Ghostbusters 2. Plus it was so dark that both the water and sky were essentially invisible, rendering the most common form of long exposure effects irrelevant. So it was a surprise when I looked at the result and saw the light streaks. It was so dark I could not see the boat at all and did not even notice its lights in real time. It just turned out to be a very happy accident.